I use these candles almost every night. They are clean burning and really long lasting. I love them. As a practicing Catholic, I purchase your candles each year and take them with me to be blessed on the altar for Candlemass. It is the commemoration of Our Lady’s purification according to the Jewish laws of the Old Testament. She did this 40 days after Our Lord Jesus Christ was born. 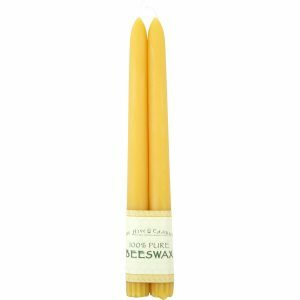 I recommend these candles to others who have nowhere to get good, pure beeswax for this celebration. We then take the candles home and use them during private devotions and at family celebrations. Thanks for a great product! Lovely Candles, good quality and arrived sooner that I expected. Excellent. Burned nicely. No drips! Perfect. This is the second time I have ordered these for my daughter. They are excellent. Elegant natural color and a good burn time. I was looking for candles that burn well and don’t make a mess on candlesticks and tabletops. I’ve burned one half way down and have had no drips. I’m very pleased with the quality of these candles. I ordered these candles to grace our holiday tables. They are beautifully made and burn clean giving a wonderful glow to the table. They arrived in perfect shape. I have ordered these before and will do so again. I love your candles. They burn exactly as advertised. I use a lot of candles in my antique colonial. The DR chandelier is candle burning. My only complaint is that the color of my most recent order “natural” was much more yellow than the usual muted beige color I love. Smell great, burn evenly, no drips , outstanding price. What’s not to like? 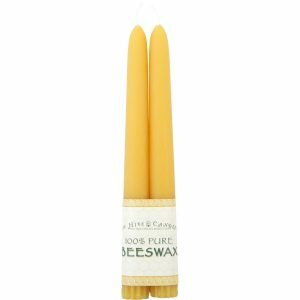 The candles we have ordered from Bee Hive Candles have always been beautiful, burn evenly, and have a heavenly, natural bees wax scent. We love these candles, the holiday red tapers are gorgeous on fireplace mantle! The product keeps me coming back for more! 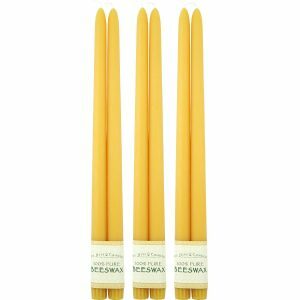 These are the best candles I have used. Long burn time and no dripping. Awesome! These candles are just perfect. The wax is a good even color and they burn well. I appreciate the flat shipping rate — easy to order a bunch for gifts and not get soaked. I have purchased the 12″ tapers many times over the years, and I am never disappointed. The candles are long burning, smokeless, and dripless. 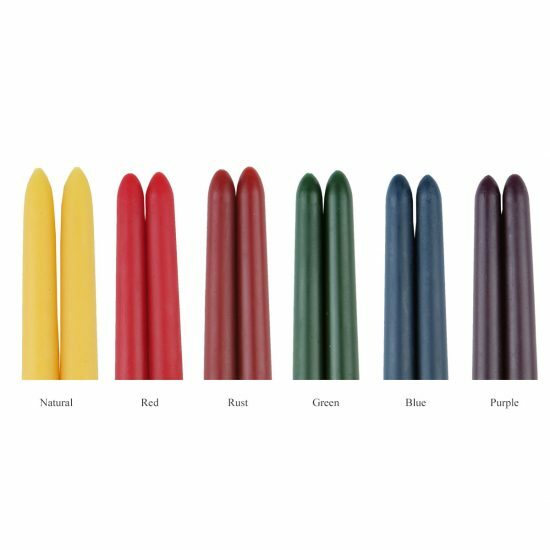 Heather in customer service even accommodated a request to use a discontinued but still available dye color for my last candle order. Great flame, nice color, beautiful scent, no drip. Soft, odorless, a lovely addition to our dining table. These provide a lovely, soft light. Our dining room is all muted golds, these look lovely against a white tablecloth. Love the long burn time. It took me many months to find the “right” candles for our meditation group. I no longer wanted to use parafin candles because of their oil connection and their smell while burning. 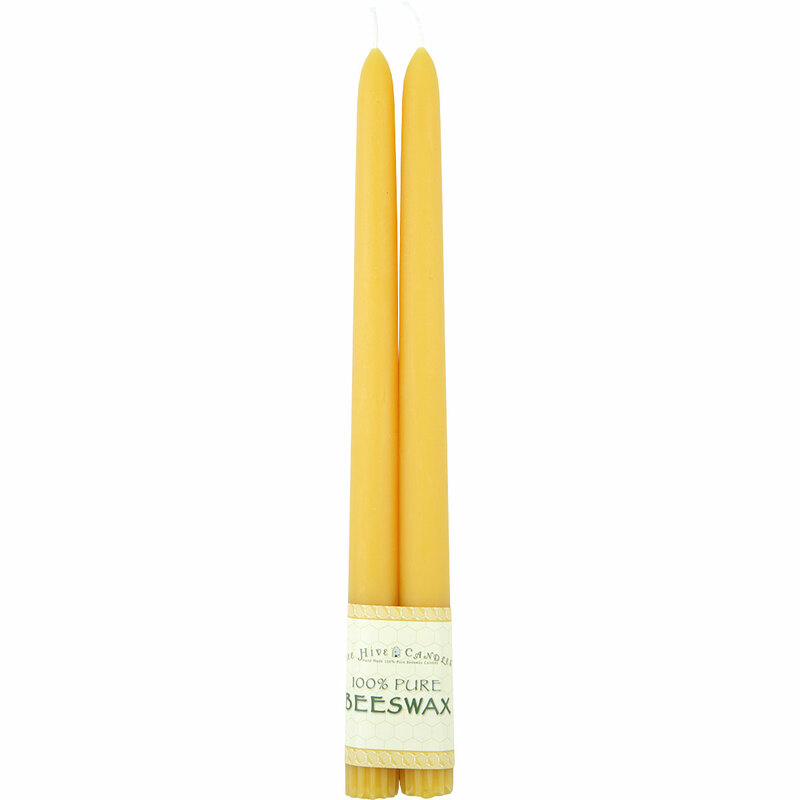 I also wanted beeswax candles that were from a clean source, so I found Bee Hive Candles. Our group has been using them since 2009. The delivery is great as well as the discounts for large orders. Very friendly phone conversations as well. THANK YOU and THANK THE BEES!!!! These candles are lovely, they arrived so quickly and I was very happy to gift them to my daughter-in-law. Burns clean and lasts well. I reviewed the 8 inch tapers, and my comments are the same for these. They last about 10 hours, roughly, I haven’t counted exactly. But I do light my apartment almost exclusively with candle light each night. I ration them, but they do last. 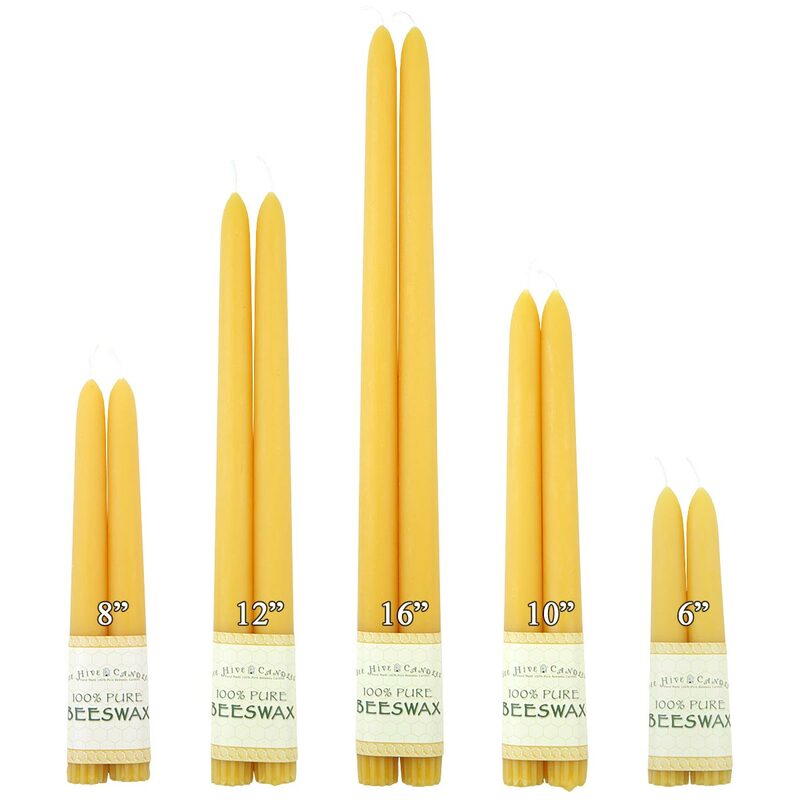 The order process is easy, the candles are as advertised, and the price is still the best. Yes, I do shop around and Bee Hive Candles makes the grade with me. This is my second order and I highly recommend Bee Hive Candles. This is my second order – I checked around for best price again and again still the best price and the candles are excellent. These candles which I burn on my Buddhist shrine are just wonderful. No dripping, long lasting. They are my favorite. Lit for first time last night: great slow burning. I have bought dozens of these over the years. I love the color and feel and shape and scent. I think the natural color makes the perfect candle for every candlestick I own. I like that they do not make a scent while burning – since I use them on the dining table and do not want them to interfere with dinner. I do wish they did not have the ridges on the bottom. The ridges show in my candlesticks and are not attractive, which is why I took off one star.